Spoil your Mother this Mother’s Day on the 31st March. 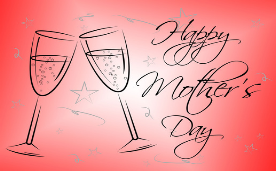 Our Mother’s Day menu is now available: £35.00 for 2 course or £38.00 for 3 course. At Ma Cuisine Kew we’re proud to serve good quality, freshly prepared French food at a surprisingly realistic price. We can offer everything from mid-morning beverages and light lunches to seasonal dishes and a comphrehensive dinner menu, complemented by a reasonably priced wine list. Ma Cuisine was an ITV London Restaurant Award winner in 2005. We have received many other accolades, including the Michelin Bib Gourmand, for successfully combining informality and good value, with the finest regional French food and drink. The menus may vary according to season and popularity. It’s this variety of authentic French food and drink, that makes eating out at Ma Cuisine one of the most enjoyable to be had anywhere in the Kew and Richmond area. Check out our NEW a la carte menu featuring some old favourites as well as exciting additions.